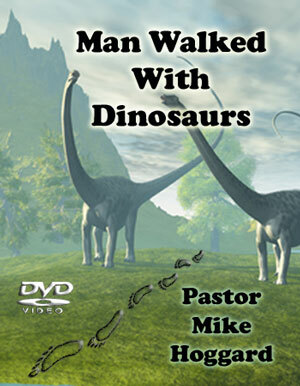 Pastor Hoggard proves through Scripture, backed by REAL science, that man and dinosaurs lived on this earth at the same time period! Hoggard is at his most persuasive in this DVD, a must-see for every Christian who needs facts to counter the Evolutionary lie. Did dinosaurs really evolve 248 million years ago, as Evolutionists want us to believe? Did man evolve much later, never having to live with the dinosaurs on Planet Earth? Did God really create this world in six (6) literal 24-hour days? After showing scientific facts that this Earth is really young, Pastor Hoggard shows where Scripture reports that dinosaurs and man lived at the same time period. Man truly did walk with the dinosaurs.